Australia - I Say Ding Dong Shop - Buy Stickers, Decals & Unique Automobilia. Australia Flag Helmet Visor Curved Sunstrip Sticker. 12". Australia Flag Helmet Visor Straight Sunstrip Sticker. 12". 50mm Tall. Australia Flag Worn & Distressed Helmet Visor Straight Sunstrip Sticker. 12". 50mm Tall. Australia Flag Worn & Distressed Style Helmet Visor Curved Sunstrip Sticker. 12". Australia Volkswagen Campervan Travel Sticker. 3.5". Australian Flag Fade To Black Oval Stickers. 3" Pair. 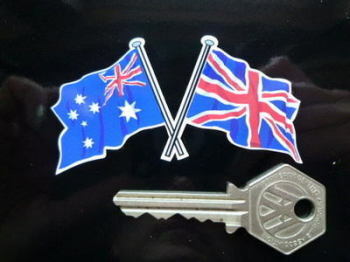 Australian Flag Land Shaped Car Sticker. 4" or 6". 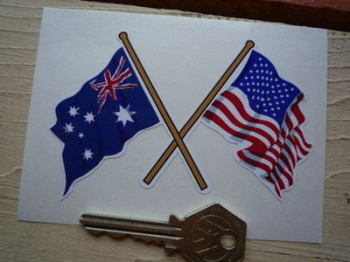 Australian Flag Oblong Stickers. 33mm Pair. 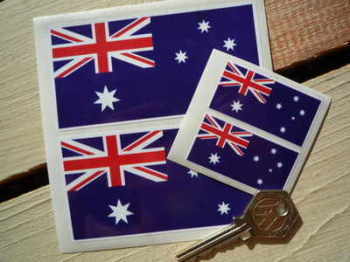 Australian Flag Oblong Stickers. 56mm Pair. 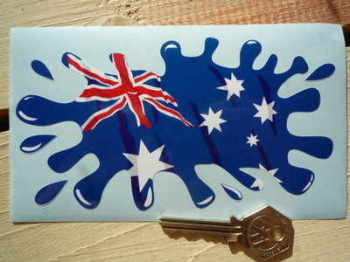 Australian Flag Splat Style Sticker. 6". 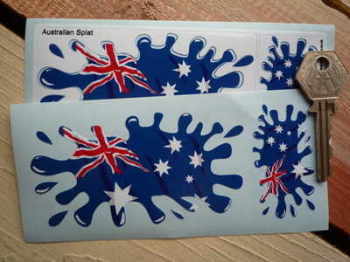 Australian Flag Stickers. Set of 4. Australian Splat Stickers. Set of 4. 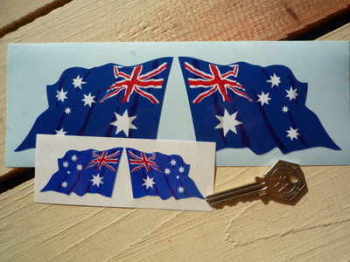 Australian Wavy Flag Stickers. 2" or 4" Pair. 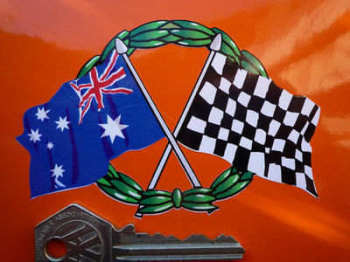 Crossed Australian & Chequered Flag Sticker. 4". Crossed Australian & Chequered Flag with Garland Sticker. 4". Kangaroo Style Stickers. 3" Pair.